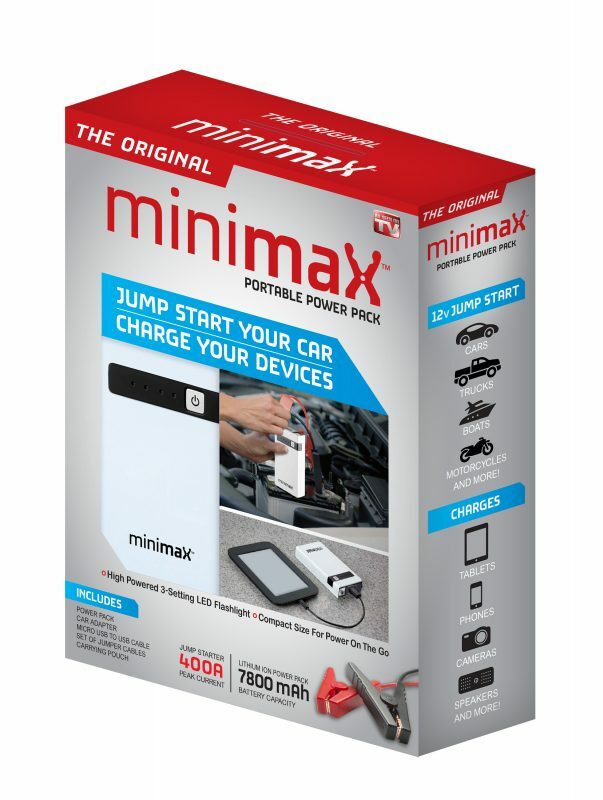 The Original Minimax™ Portable Power Pack has the ability to quickly jump start your car and charge your devices for power on the go. Just connect the jumper cables to the battery terminals, connect the cables to the Power Pack, power the unit on, and jump start your vehicle. Includes power pack, car adapter, micro USB to USB cable, a set of jumper cables and a carrying pouch. It also includes a built in high powered LED flashlight. The Minimax™ Portable Power Pack is essential for emergencies and for everyday use!